A couple of weeks back I wrote a blog post about the “craziness in the debit card world”. 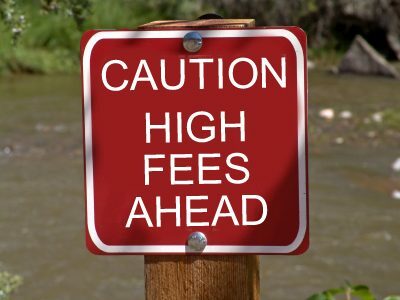 This post talked about the new fees U.S. Banks, like Bank of America, were going to start charging the customers just to have a debit card with them. Several large banks such as Wells Fargo, Suntrust, and Bank of America were testing out different fee models on customers. However, after some backlash from President Obama, customers, and lawmakers, Bank of America and other banks are now removing this charge and in some case refunding the fees taken out. (Reuters) Whitney Stewart, SunTrust’s senior vice president overseeing the bank’s card programs, said the president’s remarks were “uncalled for,” and said the bank’s debit card fee program was going well until consumers became outraged at Bank of America Corp’s proposed $5 monthly fee. On October 1st, the new rules capped what banks could charge merchants and this $8 billion dollar loss needed to be made up somewhere. Instead of debit cards, banks will more than likely look into trying to get customers to use pre-paid cards and credit cards. These methods of payment do not have their processing fees capped. This is fine. Consumers currently have many good credit card options to choose from. Credit cards companies are competition every day for the most qualified applicant and offering great balance transfer rates, rewards, and cash back. One thing you might have to worry about is the creative ways banks will start recuperating that money back. Banks might look into selling your charge history, making it hard to redeem rewards and points, or adding back annual fees to the cards. (Reuters) “If you think about it as just the card, you will lose,” said Scott Qualls, BB&T senior vice president and manager of the bank’s retail payments.